Kuttippatturumal, Kairali TV’s Musial Reality Show for Mappilappattu Reaches Its Final. Mega Grand Finale of Kutti Patturumal Will Held Today at 6.00 P.M. Venue of Kutti Patturumal Grand Finale is Municipal Stadium Kannur. Entry to The Finale of Kutti Patturumal Is Free. There Is No Tickets or Pass For The Function. Kairali TV Started The Reality Show Patturumal 6 years Back. Patturumal Is a Popular Show for Mappailappattu. It Latest Season Kutti Patturumal is for Juniors. The Grand Finale Contestants are Meharin, Aadish , Yoomn, Akshay Kumar, Rifa Mol and Punya. 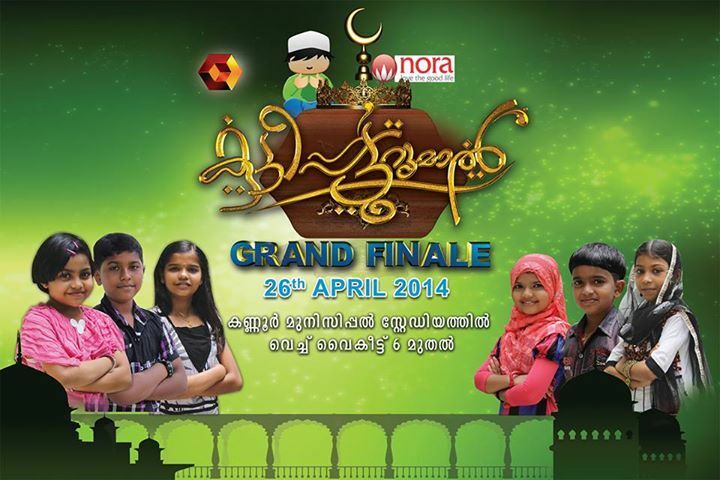 Eranholi Moosa , Ramla Begum, O.U Basheer, MA Gafoor, Seena Ramesh Will Attend The Finale. Kuttipatturumal is Started with 23 Contestants.